The adjacent stone monument erected in 1930 was first placed about a mile south of this area. Originally on the highway overlooking the canyon, it was moved to this location after the highway was relocated. Massacre Canyon is the large canyon about half a mile west of here. 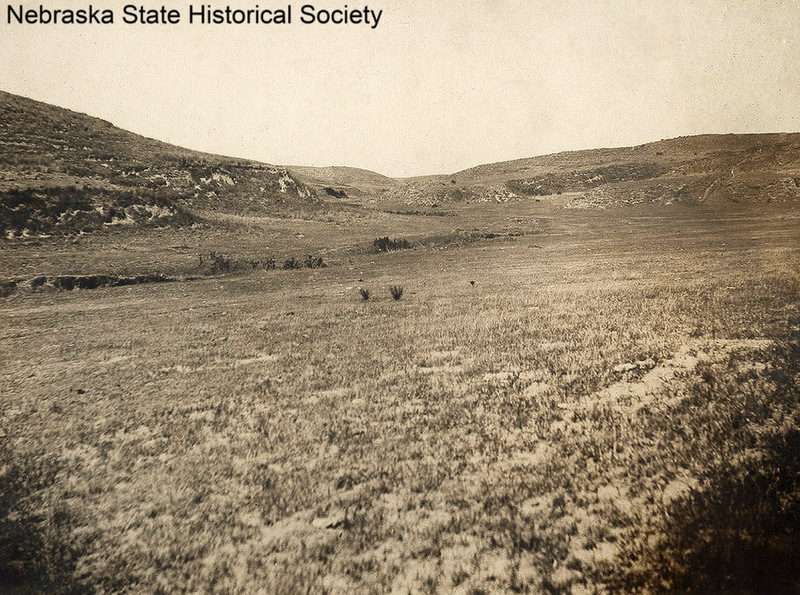 The battle took place in and along this canyon when a Pawnee hunting party of about 700, confident of protection from the government, were surprised by a War Party of Sioux. The Pawnee, badly outnumbered and completely surprised, retreated into the head of the canyon about two miles northwest of here. The battle was the retreat of the Pawnee down the canyon to the Republican. The Pawnee reached the Republican River, about a mile and a half south of here, and crossed to the other side. The Sioux were ready to pursue them still further, but a unit of cavalry arrived and prevented further fighting. 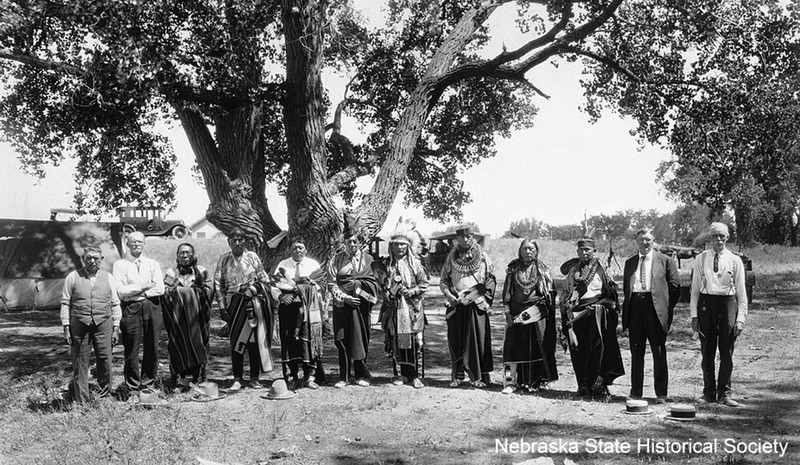 The defeat so broke the strength and spirit of the tribe that it moved from its reservation in central Nebraska to Oklahoma. 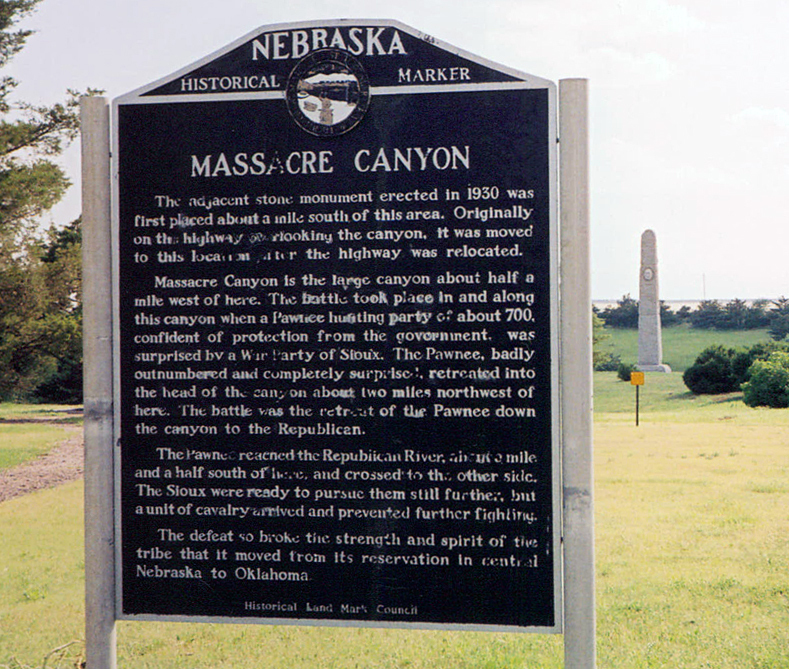 “Massacre Canyon,” Explore Nebraska History, accessed April 19, 2019, https://mynehistory.com/items/show/273.